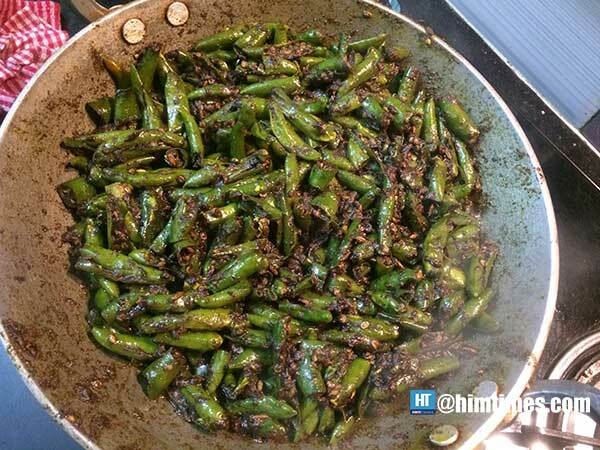 Arvind Kumar|| There are various methods of making green chilli pickle. The method I am writing here about is one of the bests because I have tasted the best of green chilli pickle made using this recipe. While residing at the home of Late. Neena Aunty and Uncle Late. Kanwar GS Chauhan in shimla I kept savouring green chilli pickle with parathas. I always wondered how the grace this pickle was made of? Don’t tell me that you have made this uncle! Any finally I learned that he was the person who had made it as he quoted it to my diary and later I experimented with this recipe to a delicious full of jar in my kitchen. I asked him for the recipe of making delicious green chilli pickle and he with gladly dictated it onto my diary which I am copying it here from. Here we go. Mix all the masalas and grind. Now put oil essential to fry the masala. Drop one piece to check if oil is simmering and ready for frying. Fry all the masalas until the mixture gets light brown in color. Now put the chopped green chilli pieces in the oil and stir the entire mixture until it starts evaporating and making chitter-chatting sound. Now put off the fire and keep stirring the mixture until all sounds settles down. Let the utensil get cool. Once cooled down , put the ready pickle into a moisture free jar. Hot the remaining mustard oil in an utensil until it is heated to 350 to 375 degrees and it is about to simmer, with vapours appearing over the oil in utensil. Put off the fire and let the oil cool down completely. 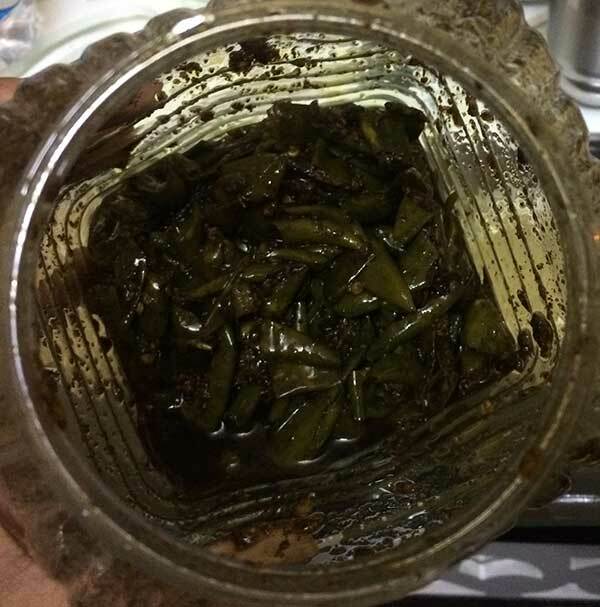 Once cooled down put this oil in the jar containing green chilli pickle so that it is sunk completely in the oil. After one day this green chilli pickle is ready to eat.